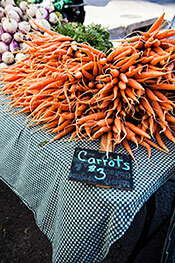 February is “market sweets” month at SFC Farmers’ Markets! Look for recipes featuring honey, preserves and chocolate, specials on sweet purchases (varying by vendor), market sweets recipe sampling at Taste the Place, and sweet-themed kids’ activities in the L’il Sprouts tent! Want to get the market news? 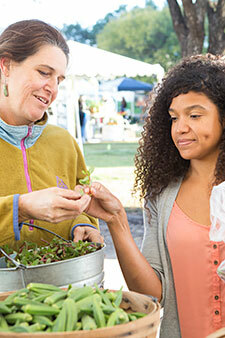 Sign up for our SFC Farmer’ Market Rise & Shine newsletter with recipes, farmer profiles, market events & more! Seed Swap & Potluck! 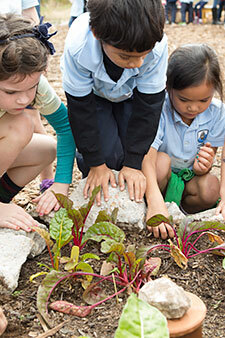 SFC is excited to announce plans for starting a Seed Bank here in Austin! 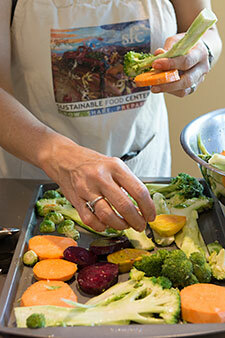 We would like to invite all local farmers, home or community gardeners, or any other type of seed lover to bring your own saved seeds from your gardens and/or a tasty, local dish for the Seed Swap Potluck. This will be a time to mingle with members of the seed saving community, and learn about the new seed bank initiative. Even if you don’t currently garden or save your own seeds, we will have a seed saving demonstration and plenty of seed saving resources to get you started! Click here to reserve. Come feel the buzz! Join Austin Honey Co. and The Tipsy Texan at SFC for a Sweet-Talking Honey Happy Hour on February 11th 6:30-8:30. Beekeepers Mark Bradley and Raul Vergara will bring an observation hive and share their passion for pollinators and their impact on organic food production in our community. We'll learn what we can do in our everyday lives to help boost populations of wild bees and other pollinators, all the while enjoying delicious honey-based cocktails and appetizers! This event is FREE, but please RSVP here. Join Texas Public Interest Research for a GMO Day of Action Saturday February 1st. Learn about the consumer’s right to know what’s in our food, sign petitions, join the movement and make sure your voice is heard! More info and RSVP here. Austin B Cycle is the most eco-friendly way to get around town! There are 11 stations for cycle share around downtown & one right at Republic Square, on the site of our SFC Saturday Farmers’ Market Downtown. Check out the B Cycle site for more info. Harness even more power from the sun on your farm! On Monday, February 3rd from 9:00-2:00 at SFC, we’ll host a REAP Grant Training for farmers interested in solar power grants. 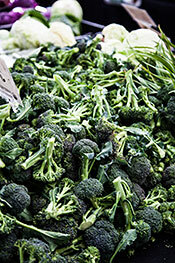 The training is free--please RSVP to jessica AT sustainablefoodcenter.org. Ticket giveaway! The Texas Organic Farmers & Gardeners Association Annual Conference Kicks off today & we have two tickets to giveaway for the whole conference including the banquet with Gaining Ground author Forrest Pritchard, courtesy of Edible Austin. Click here to enter. Race for SFC! Are you a runner or a walker? Register for the Austin Marathon, Half Marathon, or 5k and make sure you “run for SFC”. If not, we still want you! We’re looking for 50 early-risers to cheer and hand out water to runners as they come through. This is a fun, fast-paced, and family-friendly volunteer opportunity. Sign up now if you’re interested. Vote for your favorite restaurants, chefs and more! Support your favorite small businesses in Austin by voting for the Edible Communities' Local Hero Awards including food artisan, chef, farmer and more! We'd be honored to be your pick for Non Profit Organization. Vote here. Tag @sfclocal and use #FoodIs on Instagram & Twitter, and tell us what food means to you.